using ND Filters for every possible scenario in photography. An ND filter (neutral density filter) would best be described in layman’s terms as putting “sunglasses” on your lens. It’s a darkly shaded lens filter that can be used in a multitude of ways in photography. Using ND filters can significantly reduce the amount of light passing through the lens of the camera without changing the true color of the scene itself. These are very useful in bright light conditions to help prevent overexposure. Using ND Filters can certainly reduce reflections off of subjects such as water. Using ND Filters can also allow proper exposure at a wider lens opening for reduced depth-of-field to highlight the primary subject in focus by making the foreground or background out of focus. ND’s are must have filters especially if you are thinking of doing more landscape and nature photography. From boosting the colors of landscapes in a long exposure setting to reducing the glare and brightness of a waterfall during daytime lighting, the ND filter can do it all. Using ND Filters is a regular activity for me and a must-have tool in my kit. To ensure you’re capturing enough detail, the use of graduated neutral density filters is necessary. 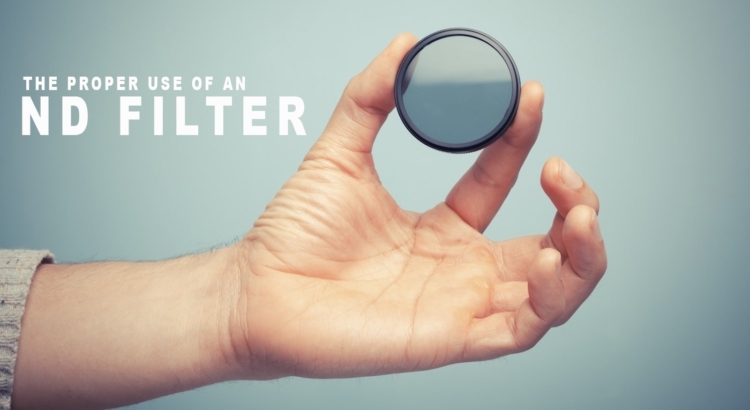 Graduated Neutral Density Filters are pieces of glass or photographic resin that can best be described as being “half clear”, and gradually gets darker as it moves to the other end. This darkening begins in the middle of the piece of glass. As you turn the lens filter to different stops you will get different results from the ND filter in your photography. What makes the ND filter special, however, would be that it obstructs a precisely controlled fraction of incoming light, thereby not altering image contrast or sharpness but still altering the look of the image. The obstruction also aims to be equal across the visible spectrum, thereby not introducing a color cast (although this isn’t always the case). This last characteristic also happens to be why it’s called a neutral density filter. When looking at these two filters we see quite a few similarities, yet many key differences as well. One primary difference between a Neutral Density filter and a Polarizer filter is that ND filters help to prevent overexposure and can highlight a subject by making the foreground or background out of focus. So these deal almost specifically with light, or too much light to be more exact. ND filters assist in the balance of the exposure between the ground and the sky to capture a range of different exposure that the camera cannot possibly handle on its own. If you expose for the ground, you’ll get a gray or white washed-out sky, or blown out highlights. Exposing for those awesome blue colors, on the other hand, will make the ground so dark you’ll lose much of the detail you set out to capture in the first place. The ND filter helps to bridge the gap between the two extremes to produce a much nicer product that does not include a blown out sky or a dark foreground. On the other hand, Polarizing filters reduce glare which may wash out an image, producing dramatically blue skies, polarizers will also remove glare from non-metallic surfaces, such as windows and water. Polarizers are also used to boost saturation in your images. Using ND Filters has been known to reduce glare as well much like its counterpart the Polarizer, the Polarizing filter is specifically made for this making it the better option in which case. Although ND filters are primarily used to achieve longer exposures and to alter the light and its effects, a less common application is to enable a shallower depth of field in super bright light. For instance, most DSLR cameras have a maximum shutter speed of 1/4000 second (on average at least), so a subject being photographed in direct sunlight may, therefore, require an f-stop that would be more than about f/4.0 (at ISO100). With a 2-stop ND filter, you could reduce this to f/2.0, which would, in turn, create a dramatic improvement in background blur and subject isolation. These effects have the possibility of creating extra bokeh, which for some photographers is a much sought after visual effect. By allowing yourself to go down to f/2.0, you will be able to create this effect with much more ease especially in the extremely bright light scenarios.